When we visited we were able to watch the potters at work and to view the process from beginning to end was fascinating. We could see the vessels take shape and become beautiful works of art, smooth, glazed and painted. The creator of all this magic is Giuseppe Testa, the last of the Testa potter brothers (Fratelli Testa) in Appignano di Macerata. Giuseppe started creating pottery when he was just eight years old. His work requires great skill but he does it with a passion. While he works there he makes all his customers feel at ease in his cozy studio and often in the evenings, the older Appignanesi meet here to chat. 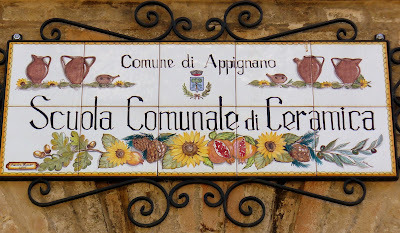 He is still creating ceramics at the age of 74 and teaches in the local school of ceramics passing on his skills to the next generation of potters, helping to preserve the history, culture and traditions of Appignano. You can buy his wonderful creations in the shop. 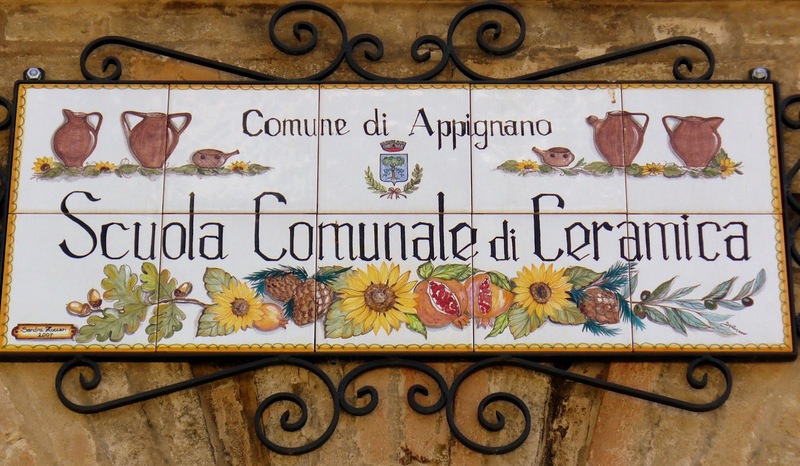 Carissima Nora, I love this post! You've managed to put together a family story dedicated to this beautiful craft. 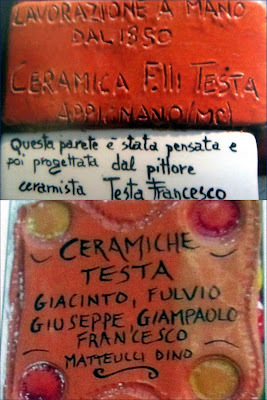 It's a pity that Giuseppe Testa haven't got succeeders. The ceramics is lovely! 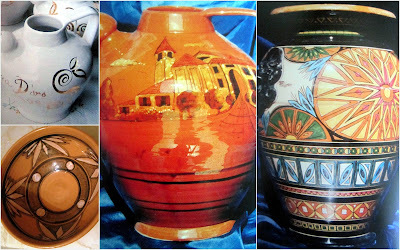 I just love Italian ceramics and that they have kept the art alive. I will be sure to check this out when I get in the area. I wish you a fantastic holiday in Italy next month Paninigirl! 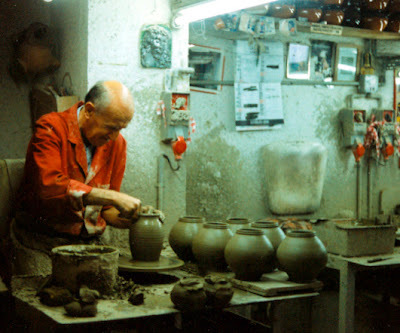 You might be interested to know that he is still going strong, making pottery and selling it in his shop - we send all our guests there!